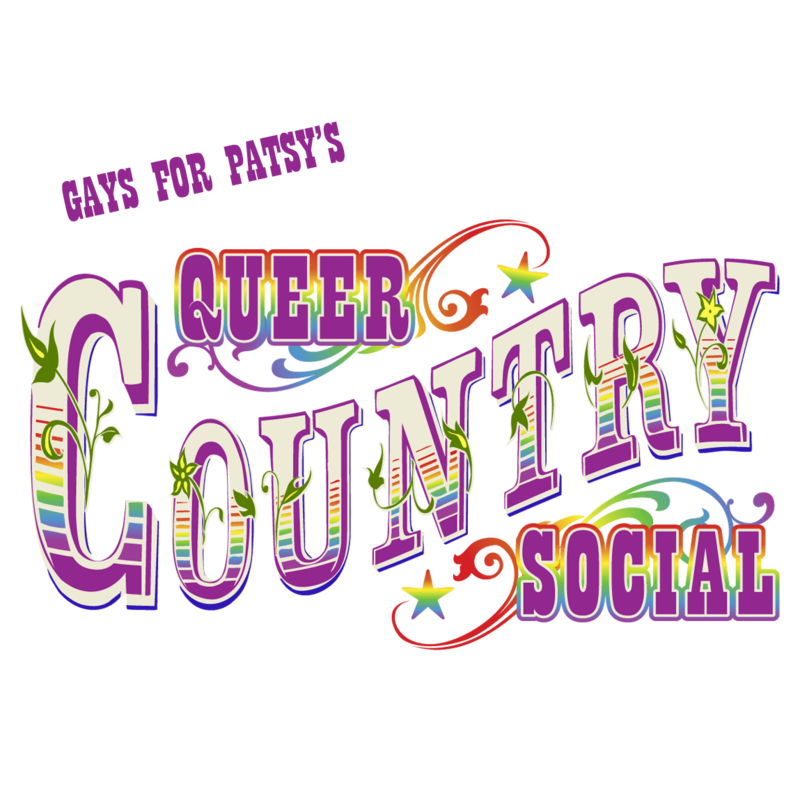 Gays for Patsy (GFP) is a non-profit LGBTQA+S* (queer) dance organization dedicated to promote Boston area country western dancing in a supportive environment for more than 30 years! Learn more on our All are Welcome page. Three dances, five workshops, off-season prices on guest houses, and a lot of smiles. Register now and have a blast in P-Town! A group of country dance enthusiasts that learn a routine or two. We perform for our dances, fundraisers, competitions, and more. We got some fun routines and always have room for more. Join, learn more, or book us today! 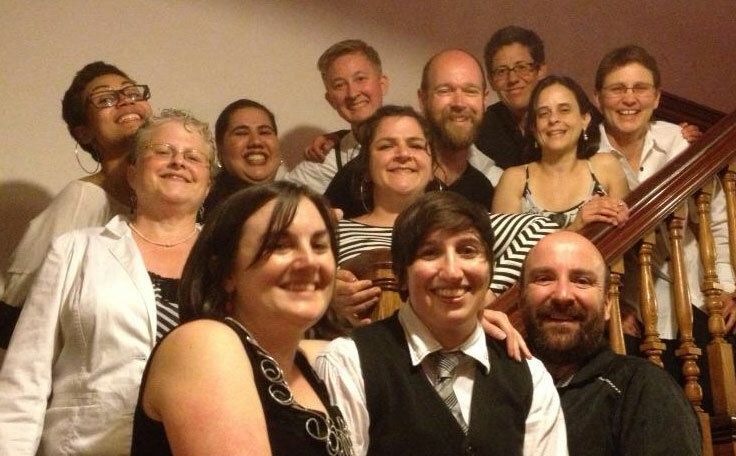 Our mission is creating welcoming venues that allow folks to dance, learn, and socialize. We mainly dance (and teach) country two-step, line dance, west coast swing, east coast swing (Lindy hop), and waltz, but we’ve been known to teach nightclub, cha-cha, and more. We have a mix of peer and professional teachers. This ain’t yer grandma’s music. Our DJs play music that draws from a number of genres (mostly country, pop, and R&B) that’ll keep ya on your toes and on the dance floor. Each DJ has their own style, but we strive for songs that are upbeat and positive (with some fun revenge songs, just ’cause). We strive for songs that don’t reduce women to Daisy Dukes and have more depth than red pick-up truck love (but there’s nothing wrong with loving Daisy Dukes or red pickups, just ya kind of get sick of every damn song being that). See Music for some of our DJ’s playlists to get a flavor of what we play. We gotcha covered. You’ll be sure to find someone to get ya around the floor fer three- ta four-minute intervals (Hell, that’s longer than some of my relationships). Two step is pretty easy to pick up the basics. We have a number of easier line dances that you can pick up (or at least get some of). We’ll be putting up tips and tricks soon. Suggested $1 – 10, sliding-scale donation includes lessons. Great dancing and ya can eat and drink too! What more can you ask? This dance tends is our “pushing the envelope” venue. You’ll find us experimenting [cue evil maniacal laugh track] with music and line dances to see what works and doesn’t. It’s a small dance floor but we love it. Learn more about Dirty Water Saloon. A non-alcoholic venue that has an amazing dance floor. This venue is a bit more country in flavor (we still mix it up though). If you can last through the night, join a bunch of us at JP Licks after. Come on down and kick up yer heels. Yearly: Spring Stomp: A Hoedown in P-town. The Pilgrim House (formerly Sage Inn & Lounge) and Town Hall, Provincetown, MA. Featuring three (and a half) dances, a bunch of workshops (both parter and line dancing), and a whole lot of socializing just before the Provincetown season begins. Learn two-step, west coast swing, nightclub, hustle, and several line dances. See our Spring Stomp! A Hoedown in P-town page to see what all the fuss is about. We also have an award-winning amateur performance dance team, the “Fabulous” Boston ReneGAYdes. A bunch of dancers who learn a routine for the annual IAGLCWDC hoedown, our Spring Stomp, Queer Country Social dances, and charity events. Our emphasis is on fun and improving as dancers and performers along the way. Get more information, learn how to join, or book us on our ReneGAYdes page. A number of us take part in regional hoedowns/dance conferences (such as DC Out and Stompede). We are a member and attend the International Association of Gay and Lesbian Country Western Dance Clubs (IAGLCWDC) Annual Hoedown, an extended hoedown with many dances, workshops, competitions, and more. Be warned though, they’re addictive. Go to one and you’ll keep on going year after year. Hundreds of dancers from all over the world — well, mostly North America and Canada, but occasionally Germany! Ask one of our organizers about their scholarship and how to apply. See our calendar page a full listing of our dances. For even more dancing opportunities, check out more dancing. * LGBTQA+S = Lesbian, Gay, Bisexual, Transgender, Questioning, Asexual, Straight and more, basically we use “queer” because it’s easier. We don’t care who you love, your color, religion, or (sigh) politics just that you love to dance and have fun. You’re safe here and we’re happy to have you. Come step on toes, make mistakes, and have fun doing it.